Welcome to our very first edition of the “In the Spotlight” series. Today the spotlight falls on Vlad Moldovean. On Steemit he is known as @vmoldo, and I would like to share his story with you, which is both remarkable and truly inspirational. “because I am not capturing memories but rather creating images." Vlad Moldovean was born and raised in Brasov, Romania. After completing his schooling, as is the case with so many young people Vlad was not entirely sure in which direction to steer his life. He decided to sign up for college and attended classes, but it did not take long before he was bored and restless. In his spare time he was toying with photography and discovered his passion in life. He quit college and was inspired to follow his calling. 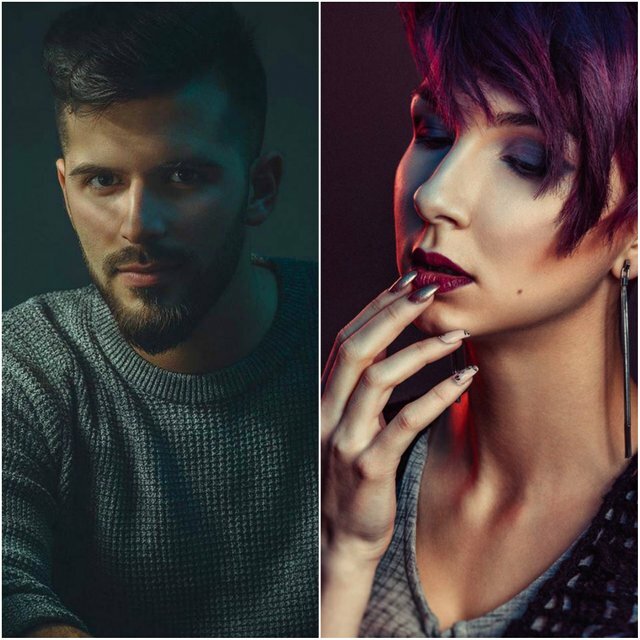 In the early days, Vlad started out by watching videos online about photography and lighting techniques and put together a DIY studio in his bedroom. He called it his “Ghetto Studio”, starting off with cheap halogen lights, white cardboard and pringles cans in order to practice the techniques he was learning from the videos. Initially he practiced his techniques on still life photos and later progressed to photographing people, most of which were his friends. Over time he invested in speed lights and a few lenses but the background he uses remains unchanged to this day i.e. a white wall or a black cloth, and most of his photography is still created in his bedroom to this day. Over time he discovered that what he enjoys the most is a mixture of fashion photography and digital composition. Today he also specializes in retouching, and still photographing mostly his friends rather than professional models. He has proven that it’s not necessary to buy the most expensive equipment in order to produce really excellent photos nor does it require expensive courses in order to learn about photography. He has proven that all it takes is passion and perseverance. A few years down the road and Vlads’ work has been published in various magazines, was featured on 500px, fstoppers and many other photography blogs. 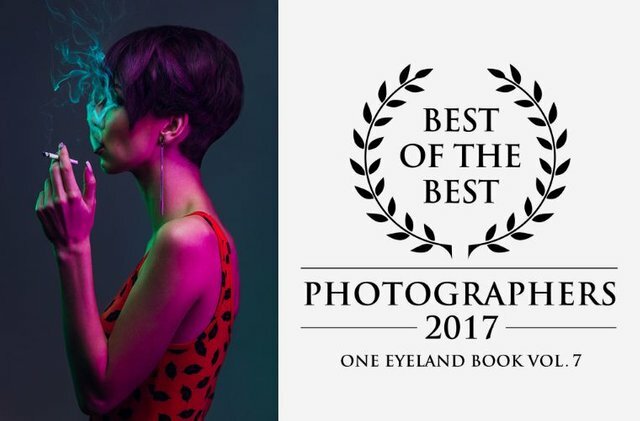 His biggest achievement to this day was being published in "Best Of The Best Photographers 2017"
This is indeed a remarkable success story, and all of this was achieved with relatively little capital outlay and driven purely by his passion for photography. Thank you Vlad for allowing us to publish this story, and we wish you well on all your future endeavours! Vlad is currently working on a project within the Steemit community to do some retouching on images that other people send him. If you are keen to learn more about this initiative please contact @vmoldo directly or visit him in his Discord Channel. where you can learn more about his techniques and see his latest work. Thank you Vlad, you are a true Inspiration to us all! Awesome! I love @vmoldo's work! His photos are amazing. Great work @claudiaz at telling his story! Upvoted and followed @positivexposure! Thank you @smylie2005 The aim to help these photographers get a little more recognition and support. Thank you for sharing Vlad's story. His work is awesome and very inspiring! Love the way he comes from zero to 100% .... and love his retouching and digital art. Truly an inspiration for many. @hetty-rowan , thats the spirit, please share the photos with when your done! Thank you claudiaz for making a transfer to me for an upvote of 1.00% on this post! Excellent, his story is very inspiring and his project seems fantastic to me. An amazing story! Thanks for telling it! thanks @melinda010100, trying to lend some support! You convinced me to check out his work! Good stuff! I will be doing these on a regular basis featuring anyone who would like to participate! if you are keen let me know! Of course!! My weekly Shadow Photo Contest could certainly use some more exposure! @melinda010100 great are you on any discord channel where we can connect? I love that ♡ wonderful post, thank you for sharing his bio. I was already following him but now I have more appreciation for the work he shares. thanks so much @mrslauren, your support is very welcome and appreciated. This story is truly inspirational. The desire to achieve goals and persistence in achieving it - these are the ingredients of success! Good intro to a fellow photographer, great work! I knew beard wigs were going to be a thing soon. I just didn't think this soon. 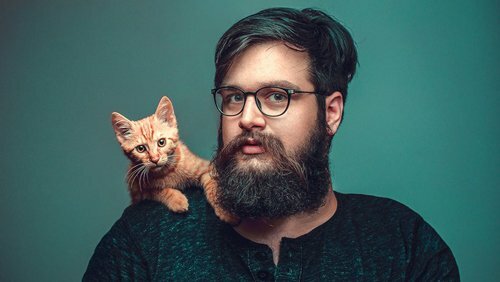 I am going to feast my eyes on your beard collection. @vmoldo fan over here. Love his work. thank you indeed it is! It's like that. Sometimes successful people come from failing and bored to melakuka work that is not his hobby. Until finally find the desired ..
Love it. I really appreciate people who are self-motivated and learn for themselves, and make the best of what they have available to them at the time. There's no substitute for creativity! Well done, @vmoldo! I agree with you 100% @derekkind, its such an inspiration, most people spend too much time finding excuses as to why they cant do something, and others just simply make a plan with what they on hand!